For over 80 years, Durham’s Hope Valley has been as sought after as any community in the Triangle. Twenty five years ago “New Hope Valley” was built for those attracted to the beauty, convenience, and ambiance of the old neighborhood. Until now, there have been very few opportunities for new single family homes in this coveted area. Northampton Court is a small community of only 9 home sites. This neighborhood of homes is designed for the character, quality, and variety befitting this coveted location. Northampton Court features “jewel box” homes ranging in size from about 2,000 square feet to about 3,500 square feet. Each of these well appointed and detailed homes offers its own unique style to the community. Northampton Court is a haven for those looking for the perfect home in the perfect location. There is only ONE opportunity remaining at Northampton Court. See details below! Available NOW for Fall 2019 Move-In! 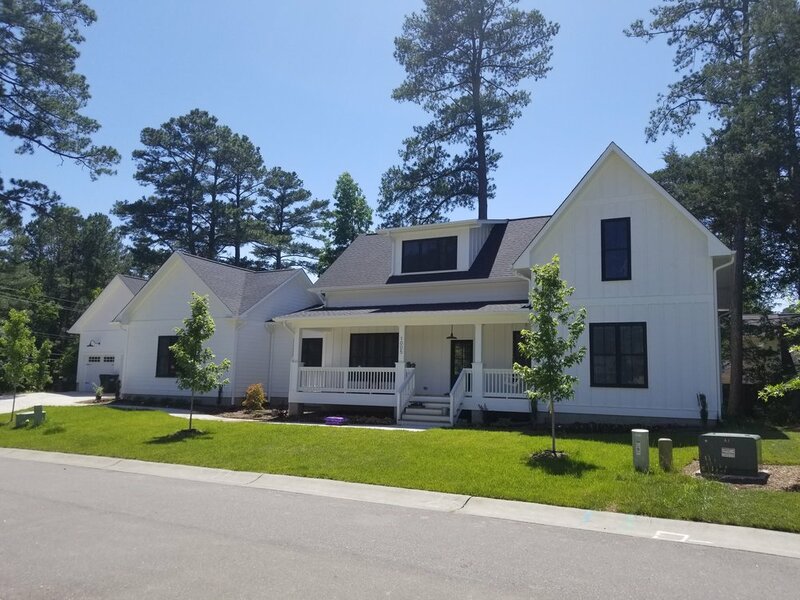 This master down home includes a fireplace, free-standing tub in the master bathroom, and a screened in porch. **NOTE: The Stratford III at Northampton Court is a pre-sale opportunity. Pictured is a recently completed Stratford III.. 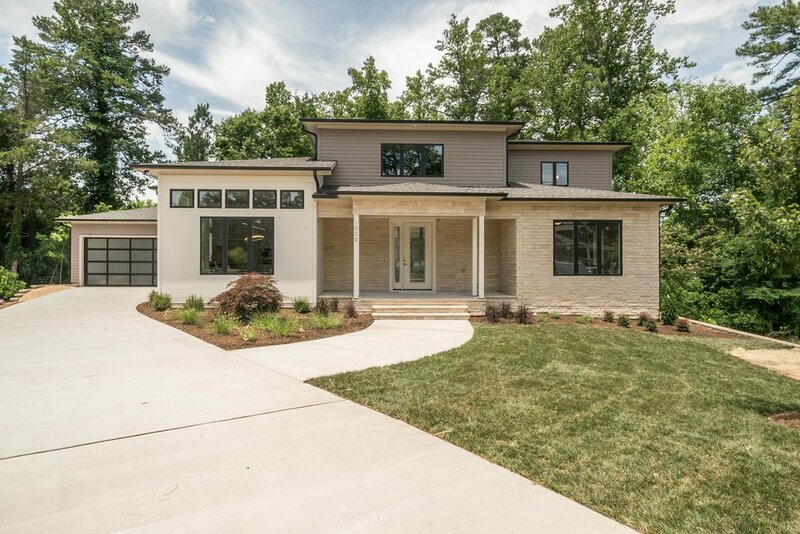 This Prairie-Contemporary style home features almost exclusively first floor living with a large open living space and three downstairs bedrooms that all wrap around a spacious center courtyard off the back. 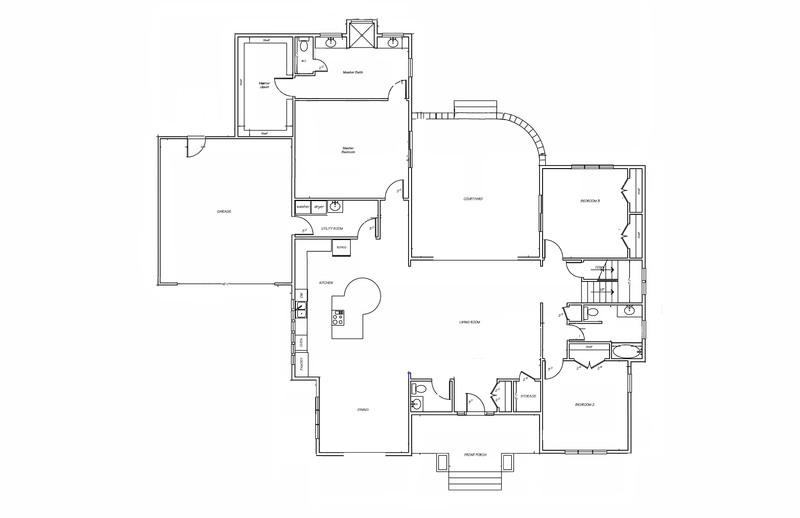 The second floor is a large bonus room and full bath, with potential for additional bedrooms. This lovely home is part of our European Cottage series. All of the features of this home were meticulously hand selected for quality, style, and comfort to enhance the overall look and feel of the home. This house radiates historic European charm throughout, but is filled with modern conveniences and is built with Green Certified construction. This spacious floor plan offers easy flow between living spaces, with a master suite tucked away for privacy. Two additional bedrooms on the first floor make this home easily one floor living. The second floor offers a bonus room and additional bathroom, as well as attic space that could be expanded to create additional bedrooms. This Prairie Contemporary home features abundant space and style. The four upstairs bedrooms offer private family space, while the open floor plan downstairs is perfect for entertaining. The Cape Cod, the Briard, and the Haigh.